There are many types of jobs that require you to use your voice. Teachers, personal trainers and lawyers for example. But there are two jobs that are essentially about using your voice: broadcasting and voice over. Broadcasting is about communicating information. But the best voice over also communicates emotions. And this requires voice acting. Broadcasters - radio DJs, news anchors, weather people, sportscasters, even narration announcers - are required to get the information across to the listener. Often they are doing this in real time: reading copy from a page or a Teleprompter. But broadcaster's don't need to express emotions. Sure the weather guy may be enthusiastic about a beautiful weekend, a sports woman may celebrate the victory of the home team. The news anchor may sound serious reporting a chemical spill. But broadcasting by nature is objective: report the facts without bias. The voice actors' performance has changed over the last 10 years. Now voice talent read copy in a much more conversational style. We call it "peer-to-peer". And the listener wants to know how the speaker feels. So a voice performance must be subjective. The lister asks "how do feel about the problem? Are you enthusiastic about the solution? Is there a feeling of urgency that makes me want to try the product?" As the talent you create these emotions in the listener with voice acting. And this acting occurs in two layers: the overall attitude of the spot. And line- by-line acting. When you analyze copy, first decide the correct attitude for the spot. Are you serious? Authoritative? Flippant? Light-hearted, warm and friendly or warning? Often there is a paragraph before the audition copy that describes this attitude. You must nail this feeling or your audition won't be considered. You can sound like Morgan Freeman or Julia Roberts but if you don't have the attitude they ask for, you won't be in contention. If the audition doesn't suggest an attitude, the try to read into the copy to discover the "vibe" they're looking for. Commercials, narration and of course animation all have a "plot arc". They are tiny movies that may be 30 seconds, or five minutes long. Lie any dramatic narrative they describe a problem, explore the possibilities and (hopefully) come to a happy conclusion. But unlike a film, they do this in a very short time span. So emotions can change swiftly, very swiftly. You may be confused for five words and the surprised for six words. Variety in your speech is the height and width when you paint a voice over landscape. Voice acting is the depth and color. You want High Definition 3D not a black and white Polaroid. If you come from from a broadcasting background you want to explore emoting about the copy your reading. And if you're a stage or screen actor you need to pick up the pace of your emotional changes to keep up with the changing emotions in the copy. You can practice voice acting on your own, but to fast-track your skills take our Voice Over Classes or get Voice Over Coaching so you know what is expected of you. Then jump in and earn while you learn. We've been producing, teaching and coaching voice over in Los Angeles for 25 years. And we love to pass on what we've learned. So check out the in-depth Answers to Your Voice Over Questions in the box above. If you live in the Los Angeles are and your ready to get started, call for a free consultation. We'll show you the facilities, answer your questions and help you make your voice over career a reality. And show you how to add this integral part of a voice talent's skills: voice acting. Should I Take Acting Classes? Yes... and no. 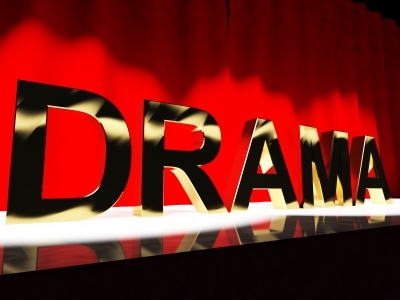 Traditional acting classes are designed to teach you to perform well in dramatic plays, films and television. Most voice acting is very different In commercials the plot happens very quickly: you can easily have 15 emotions in 60 seconds. Traditional acting helps you portray real life. Most people in real life don't have 15 emotions in 60 seconds. In traditional acting emotions often drift subtlely from one feeling to the next. Emotions in a commercial can be abrupt, even changing in the same sentence. And you'll find voice acting is much more "technical". A director will tell you to "sound angry" You can feel angry and look angry, but if the "sound of anger" doesn't come out of the speakers, you haven't portrayed anger. Traditional acting classes will help you understand the acting craft and heighten your understanding of your emotions, but to study voice acting... you need a voice acting teacher. You also might consider an improvisation class because voice acting is very similar to improvisation.